Is it Really Okay to Ignore Mild Misbehaviors? Ignoring mild misbehavior is an acceptable discipline practice. However, it needs to be combined with other discipline tools in order to be effective. If you choose to ignore some behaviors, it needs to be part of a comprehensive behavior management plan. Ignoring doesn’t mean you are neglecting your child’s distress. Instead, it is meant to ignore the way your child is behaving. Behavior modification uses positive reinforcement to encourage good behavior and punishment to discourage negative behavior. Attention can be a big reinforce to a child, even if it is negative attention. Although it’s likely that she is distressed when you say no to her, she needs to learn more socially appropriate ways to handle her distress. Ignoring, on the other hand, is a great way to discourage a behavior from continuing and it can help you avoid power struggles. It’s likely when your child yells or throws herself on the floor, she is hoping to get your attention. So, even if you say to her several times, “Stop yelling and calm down,” it is giving her attention that might reinforce the behavior. Ignoring can reinforce the six life skills that your discipline should be teaching your child. When you ignore your child’s attempts to get your attention in a negative way, you are showing her that her methods aren’t effective. Teaching how to cope with her feelings and behave politely are important to ensuring she will gain the skills she needs to become a healthy, responsible adult. Although many parents report feeling uncomfortable about ignoring their child’s mild misbehavior, research indicates it is a healthy and effective form of discipline. Sometimes called strategic ignoring, planned ignoring or selective ignoring, it’s a discipline practice that is widely accepted by most experts. Ignoring misbehavior will only work if you have a positive relationship with your child and your child receives lots of “time in” the rest of the time. If your child receives plenty of ​praise and positive reinforcement for good behaviors, ignoring will be an effective way to reduce the behavior. Look at ignoring as a minor form of time out. Instead of sending your child to her room for an official timeout, you can ignore her when she’s in the same room. If her behavior gets worse, you can always send her to time out as a backup plan. 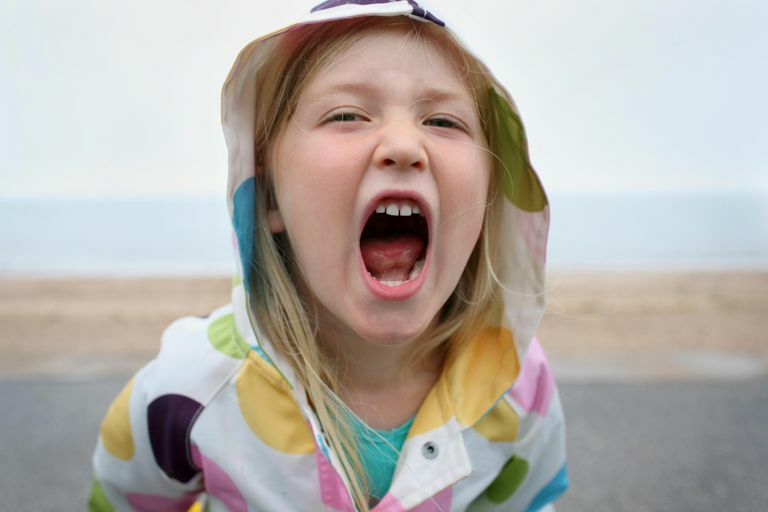 Talk to your daughter ahead of time about your plan to ignore her temper tantrums. Make it clear what she can do to get your attention again. Tell her, “Once you’re calm, if you want to talk about how sad or mad you are, we can do that.” When she’s calm, praise her and give her immediate attention. Your daughter might need to learn some new skills to help her deal with her feelings more appropriately. Teach your child about feelings and help her learn how to verbalize them. Also, teach her anger management skills so she can learn how to calm herself down when she’s upset. The fact that ignoring seems to make your daughter’s behaviors actually get a little worse at first, it means that ignoring is working. Clearly, she’s bothered by the fact you aren’t giving her attention so she’s stepping it up a little. If you are likely to eventually give in, don’t use ignoring. Instead, consider time out or taking away a privilege. Otherwise, it will just reinforce to her that throwing a big tantrum or screaming really loud is a great way to get what she wants. If you are concerned that your child might have an emotional disturbance, seek professional help. However, temper tantrums, crying and attention-seeking behaviors are all normal behavior problems that are likely to go away with consistent discipline.